Hello. I am the Wade Thomas art teacher teaching grades K-5. I am happy to share some of our students’ wonderful, creative and expressive art. Work will be posted every few weeks in finished and unfinished form so that you can step inside our classroom for a moment! Of course all are welcome to really come and visit the art room… I will tell you how we approached each project and process – whether it was an artist or art movement or place or idea and what ultimately inspired each student to create. I hope you enjoy! A bit about me – I graduated from California College of the Arts and have my teaching credential from SF State with a supplemental credential in ESL from UC Berkeley. 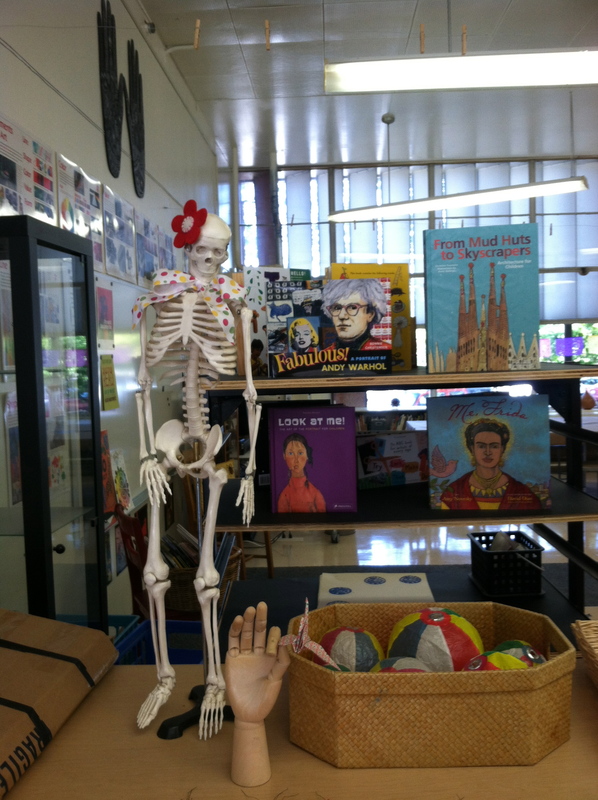 I have taught elementary and high school art and am beginning my ninth year teaching at Wade Thomas.